This title was first published in 2001: In 1989, central and Eastern European countries broke free form the Soviet Union and looked upon the European Community to support their 'return to Europe'. Some years later, leaders of the European Community, meeting in Copenhagen in June 1993, endorsed for the first time the membership aspirations of the recently democratized countries of Central and Eastern Europe. 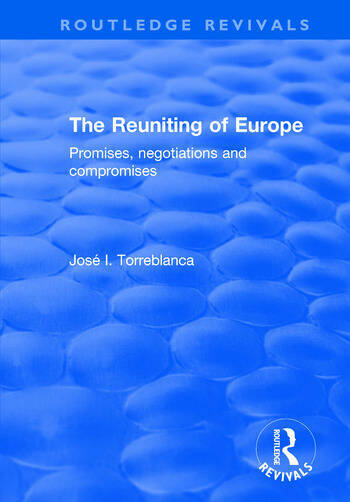 This insightful text examines the negotiations, debates, tensions and contradictions behind the process of approximation between the two halves of Europe, both within the EC itself as well as between the EC and the countries of Central and Eastern Europe. The extensive consultation of unpublished internal documents, and a theoretically relevant and well-written analysis, ensures that this book is an indispensable resource for students and researchers of EC/EU relations with Central and Eastern Europe. Contents: Introduction. The Emergence of an Association Policy: Unclear objectives; Apparent consensus; Fragmentation. The Negotiation of the Europe Agreements: Declining enthusiasm; Collapse; Breakdown; Obstinacy. The Revision of the Agreements: Retrenchment; Promises in return for time; Bibliography; Index.